1-27 Update - Blanc de la Mer. On page 122 in the February 2012 edition of Harper's Bazaar US with Demi Moore on the cover, we get our first glimpse of a new product from Crème de la Mer - The Brightening Essence Intense, of which there's no mention in the UK Harper's. 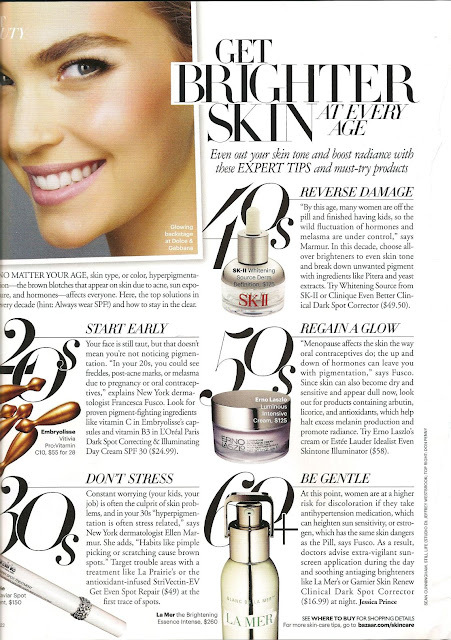 Harper's US - go to p122. 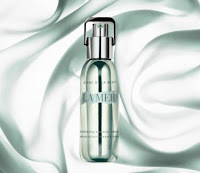 The La Mer Brightening Essence Intense gets presented in the beautiful minty green glass bottle with the flip-protecting pump, similar to The Whitening Essence available in the East. La Mer The Brightening Essence Intense. 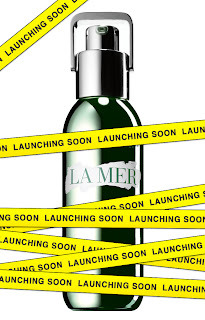 The Brightening Essence Intense will launch 'at the end of the month', and there is no word yet on the La Mer website, and most La Mer Experts will only receive training on this exciting new addition later in the month. Remember you heard it fist at My Crème de la Mer, who sends out a very big thank you to Owen Pillion, a dedicated La Mer devotee, who is our 'Breaking News Reporter' for The Brightening Essence Intense! Remember to check back shortly for more of the latest.